The “Corellia-Series” includes three graphics of well known Star Wars freight ships. 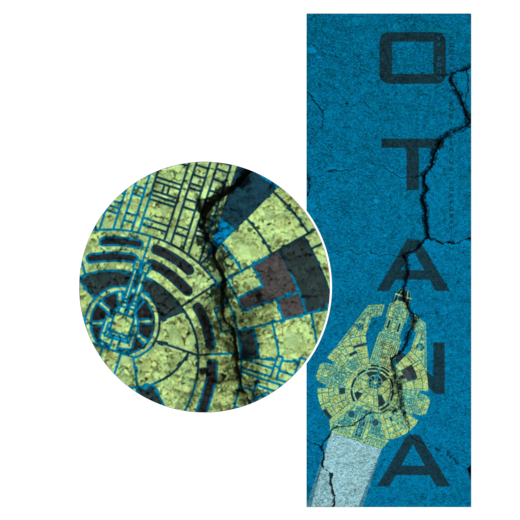 The one best known is the Millennium Falcon but it also includes the Outrider and the Otana. 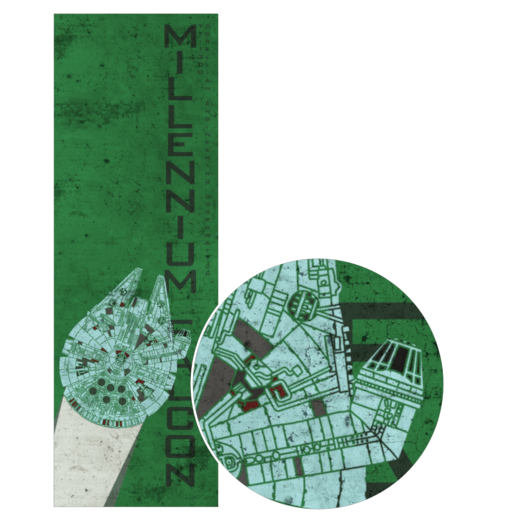 The Millennium Falcon appears in the three movies as well in dozen of novels, comics and video games. This ship’s cockpit is situated far outside the center, the flat and round shaped hull and the front wings give that vessel its very distinctive shape. The freighter type is YT-1300. The Otana is a light YT-2000 freigther used by trading family Azzameen well known from the computer simulation game Star Wars: X-Wing Alliance. The cockpit is situated in the center what gives is many manouvering advantages compared to the Falcon. Windows are installed all around the gun turret. 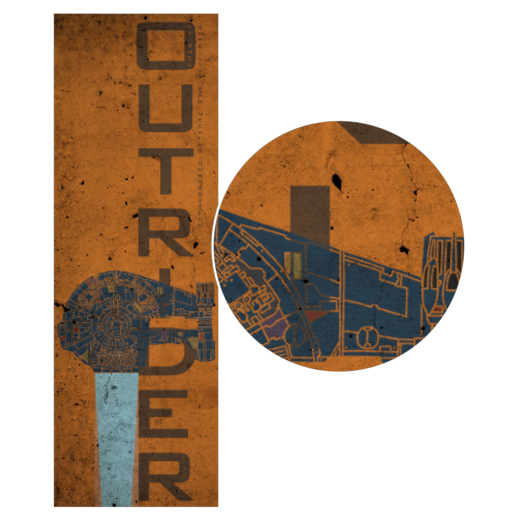 The Outrider is the heavily modified YT-2400 freighter of the smugler Dash Rendar. This ship does have its appearance in the “Shadow of the Empire” saga as well in a few comics and video games. This ship does not have any symetrie across the whole hull. The cockpit is situated at the very far outside wich needs a master skills for manouvering. Awesome work, Brian. Looking forward to seeing more. Are you planning on releasing these as a print? Probably going to print them in a small size just to see how well the print can handle the fine detail. Just don’t know about the medium, perhaps print on aluminium, forex or canvas (or any photo print). If it looks well enough, then I probably will print only on request cos I can’t print for stock and nobody buys it in the end.